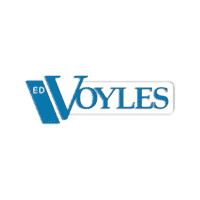 If you are looking for an affordable, reliable vehicle, you have to visit Ed Voyles CDJR! We have a great selection of used vehicles priced to sell and under $12,000. For years, we’ve gained our customer’s trust by providing exceptional customer service, affordable used vehicles, and a great car buying experience in Marietta and the surrounding areas. Along with having a great selection of used Chrysler, Dodge, Jeep, and Ram vehicles, we offer vehicles from other top automakers. You can search through our available inventory of used cars under $12,000 to find the best vehicle that meets your needs. Our team is constantly updating our inventory of used vehicles that are priced to sell, so if you don’t see something that peaks your interest now, be sure to check back often! 2009 Chevrolet Impala LT Dark Silver Metallic Clean CARFAX. FWD 4-Speed Automatic with Overdrive 3.9L V6 SFI Flex FuelRecent Arrival! 17/27 City/Highway MPGReviews:* If you're in search of a big, roomy sedan that won't break the bank, the 2009 Chevrolet Impala will thoroughly meet your needs and probably exceed your expectations. Also, the SS model makes a good quasi-muscle car for those who require the all-weather advantages of front-wheel drive. Source: KBB.comWho to trust more with your new or pre-owned vehicle needs than Ed Voyles Chrysler Dodge Jeep RAM! In business for over 60 years. We are also, the number one Certified Pre-Owned Chrysler, Jeep, Dodge, RAM dealer in the entire state of Georgia. We proudly serve Atlanta, Canton, Kennesaw, Dallas, Acworth, Gwinette, Morrow, Alpharetta, Roswell, Cartersville and all metro Atlanta cities. . Check out this 2007 GMC Envoy SLE. Its transmission and Gas I6 4.2L/254 engine will keep you going. This GMC Envoy comes equipped with these options: WHEELS, 4-17 x 7 (43.2 CM x 17.8 CM) CAST ALUMINUM, includes center cap and steel spare (STD), TRANSMISSION, 4-SPEED AUTOMATIC, ELECTRONICALLY CONTROLLED WITH OVERDRIVE (STD), TIRES, P245/65R17 ALL-SEASON, BLACKWALL (STD), SLE-1 PREFERRED EQUIPMENT GROUP Includes Standard Equipment, SEATS, FRONT BUCKET with Cloth, manual adjusting, adjustable outboard head restraints, storage pocket and front passenger manual recline (STD), SEAT TRIM, DELUXE CLOTH (STD), REAR AXLE, 3.42 RATIO, PAINT, SOLID (STD), ONSTAR, DELETE, and ENGINE, VORTEC 4.2L I6 SFI with transmission oil cooler (291 hp [217 kW] @ 6000 rpm), 277 lb-ft of torque [375 Nm] @ 4800 rpm) (STD). Stop by and visit us at Ed Voyles Chrysler Jeep, 789 Cobb Parkway South, Marietta, GA 30060. 2011 Kia Soul Shadow Clean CARFAX. FWD 5-Speed Manual with Overdrive 1.6L 4-Cylinder CVVTRecent Arrival! 26/31 City/Highway MPGReviews:* If you're looking for a vehicle that is both versatile and affordable, but you don't want to look like you're driving a car whose only attribute is that it's versatile and affordable, the 2011 Kia Soul is the car for you. Source: KBB.com* Loads of available features; highly customizable; user-friendly controls; ample passenger space; surprisingly fun to drive; low price; long warranty. Source: EdmundsAwards:* 2011 IIHS Top Safety PickWho to trust more with your new or pre-owned vehicle needs than Ed Voyles Chrysler Dodge Jeep RAM! In business for over 60 years. We are also, the number one Certified Pre-Owned Chrysler, Jeep, Dodge, RAM dealer in the entire state of Georgia. We proudly serve Atlanta, Canton, Kennesaw, Dallas, Acworth, Gwinette, Morrow, Alpharetta, Roswell, Cartersville and all metro Atlanta cities. .
2013 Nissan Sentra SR Magnetic Gray CVT with Xtronic, charcoal Cloth. Clean CARFAX. FWD CVT with Xtronic 1.8L 4-Cylinder DOHC 16VRecent Arrival! Odometer is 6219 miles below market average! 30/39 City/Highway MPGWho to trust more with your new or pre-owned vehicle needs than Ed Voyles Chrysler Dodge Jeep RAM! In business for over 60 years. We are also, the number one Certified Pre-Owned Chrysler, Jeep, Dodge, RAM dealer in the entire state of Georgia. We proudly serve Atlanta, Canton, Kennesaw, Dallas, Acworth, Gwinette, Morrow, Alpharetta, Roswell, Cartersville and all metro Atlanta cities. .
2013 Mazda Mazda3 i Gray SV FWD 5-Speed MZR 2.0L 4-Cylinder DOHC 16V VVTRecent Arrival!Reviews:* If you want a compact sedan or hatchback that's both fun to drive and fuel-efficient, the 2013 Mazda3 makes an excellent choice. Strong resale value means it's a good bet in the long run, too. Source: KBB.com* Precise handling; Skyactiv 2.0-liter engine's exceptional fuel economy; well-equipped interior; four-door hatchback utility. Source: EdmundsAwards:* 2013 KBB.com 10 Coolest New Cars Under $18,000 * 2013 KBB.com 5-Year Cost to Own AwardsWho to trust more with your new or pre-owned vehicle needs than Ed Voyles Chrysler Dodge Jeep RAM! In business for over 60 years. We are also, the number one Certified Pre-Owned Chrysler, Jeep, Dodge, RAM dealer in the entire state of Georgia. We proudly serve Atlanta, Canton, Kennesaw, Dallas, Acworth, Gwinette, Morrow, Alpharetta, Roswell, Cartersville and all metro Atlanta cities. .
2014 Ford Focus Titanium FWD 6-Speed Automatic with Powershift 2.0L 4-Cylinder DGI DOHCRecent Arrival!Reviews:* Want an efficient compact sedan with style, efficiency, technology and comfort that's still fun to drive? Give the 2014 Focus your close attention. Source: KBB.com* Nimble handling; refined and quiet ride; strong engine; stylish and well-made interior; abundant list of upscale and high-tech options. Source: Edmunds* Driving the 2014 Ford Focus is incredibly fun and enjoyable. It has a dynamic design, addictive driving experience, and an interior that immerses you into something that is definitely more than just a car. The Focus comes in 7 models to pick from: the Base S Sedan, SE Sedan, SE Hatch, Titanium Sedan, ST, Titanium Hatch, and Electric. New for 2014, there's a Sport Appearance Package for the SE, which has sport cloth seats, a leather-wrapped steering wheel and shift knob, and an available rear spoiler. Every drop of fuel is effectively used in the Focus with its 2.0L engine. Twin independent variable camshaft timing adds extra precision, contributing to fuel efficiency or power output. The electric power-assisted steering contributes to fuel efficiency as well. Plus, Active Grille Shutters help Focus make itself even more aerodynamic and fuel-efficient. This all helps Focus SE with the SFE Package achieve up to 40 MPG HWY, which equals less stops at the pump. For entertainment, there's SYNC with MyFord Touch, standard on Titanium and Electric trims, and optional on SE and ST. On select models, luxury comes in the form of leather-trimmed seats, dual-zone electronic automatic temperature control, ambient lighting, and 2 Interior Style Packages that feature two-tone leather-trimmed seats, matching door-trim inserts, coordinated steering wheel trim and more. The new Focus ST is geared to get you to your destination quickly. Mash the aluminum accelerator pedal and you'll be treated to the rollicking performance of its 252hp, 2.0L EcoBoost engine that's linked to a 6-speed manual transmission. An overboost feature can sustain increased torque (from 3000 to 4500 rpm) for 15 seconds at a time enhancing its performance feel. Source: The Manufacturer SummaryAwards:* 2014 IIHS Top Safety Pick * 2014 KBB.com Brand Image AwardsWho to trust more with your new or pre-owned vehicle needs than Ed Voyles Chrysler Dodge Jeep RAM! In business for over 60 years. We are also, the number one Certified Pre-Owned Chrysler, Jeep, Dodge, RAM dealer in the entire state of Georgia. We proudly serve Atlanta, Canton, Kennesaw, Dallas, Acworth, Gwinette, Morrow, Alpharetta, Roswell, Cartersville and all metro Atlanta cities. .
2012 Ford Escape Limited Black AWD. Clean CARFAX. AWD 6-Speed Automatic Duratec 2.5L I4Recent Arrival! 20/27 City/Highway MPGReviews:* Like the rugged look of the old Ford Explorer and Jeep Cherokee, but don't want to deal with the truck-like ride, poor fuel economy and bulky size? The 2012 Ford Escape offers all the creature comforts of a car with the tall ride height and AWD ability of an SUV. Source: KBB.com* High-tech entertainment features; nifty automated parking option; hybrid model's impressive fuel economy. Source: EdmundsAwards:* 2012 KBB.com Total Cost of Ownership Awards * 2012 KBB.com Brand Image AwardsWho to trust more with your new or pre-owned vehicle needs than Ed Voyles Chrysler Dodge Jeep RAM! In business for over 60 years. We are also, the number one Certified Pre-Owned Chrysler, Jeep, Dodge, RAM dealer in the entire state of Georgia. We proudly serve Atlanta, Canton, Kennesaw, Dallas, Acworth, Gwinette, Morrow, Alpharetta, Roswell, Cartersville and all metro Atlanta cities. .
2013 MINI Cooper Midnight Black FWD Getrag 6-Speed Manual with Overdrive 1.6L I4 DOHC 16VRecent Arrival! 29/37 City/Highway MPGReviews:* If you want a car that feels more like an adult-sized go-kart, you'll love the Mini. These tidy 4-passenger vehicles are also effortlessly stylish inside and out, and offer high fuel economy. The Clubvan deletes the rear seat and replaces it with a level floor and an aluminum mesh divider. Source: KBB.comAwards:* JD Power Dependability Study * ALG Best Residual Value * 2013 KBB.com Brand Image AwardsWho to trust more with your new or pre-owned vehicle needs than Ed Voyles Chrysler Dodge Jeep RAM! In business for over 60 years. We are also, the number one Certified Pre-Owned Chrysler, Jeep, Dodge, RAM dealer in the entire state of Georgia. We proudly serve Atlanta, Canton, Kennesaw, Dallas, Acworth, Gwinette, Morrow, Alpharetta, Roswell, Cartersville and all metro Atlanta cities. .
2015 Chevrolet Cruze 2LT Red Tintcoat New Price! FWD 6-Speed Automatic Electronic with Overdrive ECOTEC 1.4L I4 SMPI DOHC Turbocharged VVTRecent Arrival! Odometer is 7268 miles below market average! 26/38 City/Highway MPGReviews:* If you need small-car pricing and fuel-efficiency but you don't want to give up big-car comfort, check out the 5-passenger Chevrolet Cruze for 2015. Although it's categorized as a compact sedan, the Cruze's interior volume actually qualifies it as a midsize model. Source: KBB.com* Two satisfying high-efficiency engine choices; secure handling; handsome interior design; big trunk. Source: Edmunds* The Cruze gives you great fuel economy and a reasonable price, with a very stylish look to go with it. It has a strong stance and angled lines, with a split front grille, and headlights that wrap around from the front and end in a point above the fenders. On the inside the cabin is modern, roomy and comfortable. It doesn't feel like the compacts you might be used to and is refreshingly fun to drive. There are 6 different trims available for the Cruze, including the: LS, 1LT, Eco, 2LT, LTZ, and the Turbo Diesel. Standard for all are features such as Bluetooth calling and Touch Controls on the Steering Wheel. The Base Model LS comes with a 1.8L engine that gets 25MPG City and 36MPG hwy with the standard 6-speed manual, or 22MPG City and 35MPG hwy when you opt for the automatic. All models higher than the LS, but below the Diesel come with a peppy 1.4L Turbocharged Engine. The 1LT and 2LT give you your choice of a 6-speed manual with overdrive or an automatic. The Eco comes standard with a special 6-speed manual with triple overdrive, or an optional automatic. Fuel economy varies for these trims based on which you opt for, but the best performer hands down is the Eco with the Manual Transmission that gets an EPA estimated 28MPG City and 42MPG hwy. The top of the line model is the Diesel with a 2.0L engine that has 151hp and gets an EPA estimated 27MPG City and an amazing 46MPG hwy. Standard safety features on all models include Anti-lock brakes, Stabilitrak, Traction Control, and 10 Airbags. Upgrade to the LTZ trim and you get the added visibility of a Rear View Camera. With available Chevrolet MyLink all your apps are located on the 7-inch touchscreen and the available 4G LTE turns the Cruze into a mobile Wi-Fi hotspot. Source: The Manufacturer SummaryAwards:* 2015 KBB.com 10 Best UberX CandidatesWho to trust more with your new or pre-owned vehicle needs than Ed Voyles Chrysler Dodge Jeep RAM! In business for over 60 years. We are also, the number one Certified Pre-Owned Chrysler, Jeep, Dodge, RAM dealer in the entire state of Georgia. We proudly serve Atlanta, Canton, Kennesaw, Dallas, Acworth, Gwinette, Morrow, Alpharetta, Roswell, Cartersville and all metro Atlanta cities. .
2013 Hyundai Genesis 3.8 Cabernet Red cashmere Leather. Clean CARFAX. RWD 8-Speed Automatic with SHIFTRONIC 3.8L V6 DGI DOHC Dual CVVTRecent Arrival! 18/28 City/Highway MPGReviews:* If you don't care about brand image, but you do care about getting lots of cool stuff in a potent sedan costing thousands less than the high-status competition, you'll love the 2013 Hyundai Genesis sedan. Source: KBB.com* Base model's comfortable ride; smooth and powerful engines; luxurious cabin; generous warranty; sensational Lexicon sound system. Source: EdmundsAwards:* JD Power Initial Quality Study * 2013 IIHS Top Safety PickWho to trust more with your new or pre-owned vehicle needs than Ed Voyles Chrysler Dodge Jeep RAM! In business for over 60 years. We are also, the number one Certified Pre-Owned Chrysler, Jeep, Dodge, RAM dealer in the entire state of Georgia. We proudly serve Atlanta, Canton, Kennesaw, Dallas, Acworth, Gwinette, Morrow, Alpharetta, Roswell, Cartersville and all metro Atlanta cities. .
2013 Nissan Juke SV Gun Metallic CARFAX One-Owner. FWD CVT with Xtronic 1.6L I4 DOHC 16VRecent Arrival! 27/32 City/Highway MPGWho to trust more with your new or pre-owned vehicle needs than Ed Voyles Chrysler Dodge Jeep RAM! In business for over 60 years. We are also, the number one Certified Pre-Owned Chrysler, Jeep, Dodge, RAM dealer in the entire state of Georgia. We proudly serve Atlanta, Canton, Kennesaw, Dallas, Acworth, Gwinette, Morrow, Alpharetta, Roswell, Cartersville and all metro Atlanta cities. .
2013 Honda Accord LX-S Black Cloth. FWD CVT 2.4L I4 DOHC i-VTEC 16VRecent Arrival! 26/35 City/Highway MPGReviews:* The Honda Accord is the Labrador retriever of sedans. If you want a hassle-free, pleasing family car with a reputation for quality and an immediate familiarity, it's hard to go wrong with the Accord. Coupe versions, meanwhile, add an element of sportiness, especially when fitted with the strong V6 engine. Source: KBB.comAwards:* Car and Driver 10 Best Cars * ALG Best Residual Value * Ward's 10 Best Engines * 2013 IIHS Top Safety Pick (built after December 2012) * 2013 KBB.com Brand Image Awards2016 Kelley Blue Book Brand Image Awards are based on the Brand Watch(tm) study from Kelley Blue Book Market Intelligence. Award calculated among non-luxury shoppers. For more information, visit www.kbb.com. Kelley Blue Book is a registered trademark of Kelley Blue Book Co., Inc.Car and Driver, January 2017.Who to trust more with your new or pre-owned vehicle needs than Ed Voyles Chrysler Dodge Jeep RAM! In business for over 60 years. We are also, the number one Certified Pre-Owned Chrysler, Jeep, Dodge, RAM dealer in the entire state of Georgia. We proudly serve Atlanta, Canton, Kennesaw, Dallas, Acworth, Gwinette, Morrow, Alpharetta, Roswell, Cartersville and all metro Atlanta cities. .
2012 Toyota Prius v Five Sky 1.8L 4-Cylinder DOHC 16V VVT-i Aluminum. FWD CVT 1.8L 4-Cylinder DOHC 16V VVT-i AluminumRecent Arrival! 44/40 City/Highway MPGReviews:* Class-leading fuel economy; generous cargo capacity; quiet and comfy ride; roomy cabin. Source: EdmundsAwards:* 2012 KBB.com Best Resale Value AwardsWho to trust more with your new or pre-owned vehicle needs than Ed Voyles Chrysler Dodge Jeep RAM! In business for over 60 years. We are also, the number one Certified Pre-Owned Chrysler, Jeep, Dodge, RAM dealer in the entire state of Georgia. We proudly serve Atlanta, Canton, Kennesaw, Dallas, Acworth, Gwinette, Morrow, Alpharetta, Roswell, Cartersville and all metro Atlanta cities. .
2015 Subaru Impreza 2.0i Premium Ice Silver Metallic CARFAX One-Owner. AWD CVT Lineartronic 2.0L 4-Cylinder SMPI DOHC 16VRecent Arrival! 28/37 City/Highway MPGReviews:* If you live where winter is more than an abstract concept, then the 2015 Subaru Impreza is an obvious compact-car choice. With good fuel economy to match its all-weather traction, you can get a lot of car for a reasonable price, even in high-performance WRX models. Source: KBB.com* Subaru is known for being sensible and trustworthy and the 2015 only add more stylish proof to that. Not only will you save at the pump, it'll reward you on the road with comfort and versatility. The Impreza gives you the confidence inspiring stability and traction of Subaru Symmetrical AWD with exceptional efficiency. With the 2.0 liter DOHC aluminum alloy 16 valve horizontally opposed 4 cylinder SUBARU BOXER engine you can achieve up to an EPA estimated 37 MPG hwy. The Impreza is loaded with features that put control at your fingertips and technology at your service. Thoughtful things like steering wheel mounted controls and improved silencing means less distractions while driving. Standard on all models is the new SUBARU STARLINK in-vehicle technology with Pandora app integration brings smartphone entertainment and communication to your dashboard, with an available 7-inch in-dash touch-screen and voice controls. Six speaker audio system, windshield wiper de-icer, heated side mirrors, and heated front seats are optional. The 2015 Impreza joins its siblings by adding Eyesight Drive Assistance that combines adaptive cruise control, collision mitigation, and lane-departure warning. New to the EyeSight system for 2015 are steering-responsive fog lights that activate individually to help illuminate curves. The 60/40 split flat folding rear seat backs allow you to easily load longer items, even while carrying passengers. The wide rear opening of the 5 door lessens the effort of getting larger items in and out, while the 4-door gives you generous 12.0 cubic feet of trunk space. Source: The Manufacturer Summary* Standard all-wheel drive; spacious interior; secure handling; compliant ride quality. Source: EdmundsAwards:* 2015 IIHS Top Safety Pick+ * ALG Residual Value Awards * 2015 KBB.com 5-Year Cost to Own Awards * 2015 KBB.com Brand Image Awards * 2015 KBB.com Best Resale Value AwardsWho to trust more with your new or pre-owned vehicle needs than Ed Voyles Chrysler Dodge Jeep RAM! In business for over 60 years. We are also, the number one Certified Pre-Owned Chrysler, Jeep, Dodge, RAM dealer in the entire state of Georgia. We proudly serve Atlanta, Canton, Kennesaw, Dallas, Acworth, Gwinette, Morrow, Alpharetta, Roswell, Cartersville and all metro Atlanta cities. .
2012 Acura TSX 2.4 Silver Moon CARFAX One-Owner. Technology FWD 5-Speed Automatic with Sequential SportShift 2.4L I4 DOHC 16V i-VTECRecent Arrival! Odometer is 8801 miles below market average! 22/31 City/Highway MPGReviews:* If you are looking for a well-appointed premium luxury vehicle that delivers ample fuel economy, a simple pricing structure and an envious reliability record, the 2012 Acura TSX is a smart choice. Source: KBB.com* Impressive number of standard and technology features; spacious interior; sporty handling with V6 sedan and wagon; excellent build and materials quality. Source: EdmundsAwards:* 2012 IIHS Top Safety Pick*Insurance Institute for Highway Safety.Who to trust more with your new or pre-owned vehicle needs than Ed Voyles Chrysler Dodge Jeep RAM! In business for over 60 years. We are also, the number one Certified Pre-Owned Chrysler, Jeep, Dodge, RAM dealer in the entire state of Georgia. We proudly serve Atlanta, Canton, Kennesaw, Dallas, Acworth, Gwinette, Morrow, Alpharetta, Roswell, Cartersville and all metro Atlanta cities. .
2014 Ford Escape Titanium Ruby Red FWD 6-Speed Automatic EcoBoost 1.6L I4 GTDi DOHC Turbocharged VCTRecent Arrival! 23/32 City/Highway MPGReviews:* Get-noticed styling, great fuel economy and a powerful technology package are three good reasons you might find the Ford Escape is just what you want in a small crossover. Source: KBB.com* Good performance and fuel efficiency; many high-tech features; agile handling; high-quality cabin; comfortable seating. Source: Edmunds* The second year into it's gorgeous new look, the 2014 Escape is a Compact SUV that is an absolute head turner. A major departure from its previous generation, this Escape is refreshingly modern with sporty attitude. Further, the interior of the escape showcases impressive design, and high quality materials. It is one of the leaders in its segment for gas mileage, styling, and great technology as well. There are three trims available for the 2014 Escape: S, SE, and Titanium. Standard on all 3 models, is a generous assortment of standard features. You get a 6-Speed SelectShift Automatic, Power Windows and Door Locks, a Storage Bin under the floor, Touch Controls on the Steering Wheel, and Flat Fold Rear Seats. Plus, it comes with a 6 Speaker, AM FM Radio with CD, MP3 and Auxiliary Input, and a Communication and Entertainment System. The Base S Trim comes with a 2.5-Liter, 4-Cylinder Engine with 168 Horsepower that gets an EPA estimated 22 MPG in the City and 31 MPG on the Highway. Plus the base also comes standard with the MyKey system for parents of younger drivers. The SE and Titanium come standard with a 1.6-Liter EcoBoost engine, with an optional 2.0-Liter EcoBoost I-4 engine available instead. Bought as a two-wheel drive, the 1.6-Liter gets an EPA Estimated 23 MPG City and 33 MPG Highway, while the 2.0-Liter gets 22 MPG City and 30 MPG Highway. The S Trim can only be purchased as a two-wheel drive but the other two models give you the option of four-wheel drive as well. In terms of Safety, all models are standard equipped with Front and Rear Anti-Lock Brakes, AdvanceTrac with Roll Stability Control, and a Rear View Camera Come experience the 2014 Ford Escape for yourself today! Source: The Manufacturer SummaryAwards:* 2014 KBB.com 10 Best SUVs Under $25,000 * 2014 KBB.com Brand Image AwardsWho to trust more with your new or pre-owned vehicle needs than Ed Voyles Chrysler Dodge Jeep RAM! In business for over 60 years. We are also, the number one Certified Pre-Owned Chrysler, Jeep, Dodge, RAM dealer in the entire state of Georgia. We proudly serve Atlanta, Canton, Kennesaw, Dallas, Acworth, Gwinette, Morrow, Alpharetta, Roswell, Cartersville and all metro Atlanta cities. .
Look at this 2010 Chevrolet Tahoe LT. Its transmission and Gas/Ethanol V8 5.3L/323 engine will keep you going. This Chevrolet Tahoe comes equipped with these options: WHEELS, 4 - 17 X 7.5 (43.2 CM X 19.1 CM) ALUMINUM, 5-SPOKE with smooth surface and rectangular pockets (STD), TRANSMISSION, 6-SPEED AUTOMATIC, ELECTRONICALLY CONTROLLED with overdrive and tow/haul mode (STD), TIRES, P265/70R17 ALL-SEASON, BLACKWALL, SUSPENSION PACKAGE, PREMIUM SMOOTH RIDE (STD), SEATS, SECOND ROW 60/40 SPLIT-FOLDING BENCH, 3-PASSENGER with center armrest with 2 cup holders, SEATS, FRONT BUCKET WITH LEATHER-APPOINTED SEATING (AG1) 6-way power driver and (AG2) front passenger seat adjusters, adjustable head restraints, (AM1) driver manual lumbar control, floor console and rear storage pockets (STD), REAR AXLE, 3.08 RATIO, LT PREFERRED EQUIPMENT GROUP Includes Standard Equipment, GVWR, 7000 LBS. (3175 KG), and ENGINE, VORTEC 5.3L V8 SFI FLEXFUEL with Active Fuel Management, capable of running on unleaded or up to 85% ethanol (with gas - 320 hp [239 kW] @ 5400 rpm, 335 lb-ft of torque [454 N-m] @ 4000 rpm, with E85 ethanol - 326 hp [243 kW] @ 5300 rpm, 348 lb-ft of torque [472 N-m] @ 4400 rpm), aluminum block (STD). See it for yourself at Ed Voyles Chrysler Jeep, 789 Cobb Parkway South, Marietta, GA 30060. Check out this 2008 Honda Odyssey EX-L. Its transmission and Gas V6 3.5L/212 engine will keep you going. This Honda Odyssey has the following options: XM satellite radio (subscription required), Warning lights-inc: low-fuel, low-oil pressure, door/tailgate open, passenger-side side airbag-off, Vehicle Stability Assist (VSA) w/traction control, Variable-assist pwr rack & pinion steering, Variable Cylinder Management (VCM), Upper & lower glove boxes, Tri-zone automatic climate control, Tire pressure monitoring system, Tilt & telescopic steering column, and Sunglasses holder. Test drive this vehicle at Ed Voyles Chrysler Jeep, 789 Cobb Parkway South, Marietta, GA 30060. Once you find the used vehicle that meets your needs, our financing team at Ed Voyles Chrysler Dodge Jeep Ram will help you secure a great auto loan rate with low monthly payments. We work with our customers in Kennesaw, Cartersville, Marietta and the surrounding areas with various credit situations, including good credit, bad credit, and no credit at all. Are you looking to save even more on your next used car purchase? By trading in your existing vehicle, you can put that money towards your new car purchase at Ed Voyles Chrysler Dodge Jeep Ram! Use our Value your Auto Trade-In Tool to see the value of your trade before setting foot at our dealership! This tool is quick, easy, and accurate. Along with our extensive inventory of used cars under $12,000, we have a great service and repair center located conveniently to Cartersville, Kennesaw, and the surrounding areas. When you buy a used car from Ed Voyles Chrysler Dodge Jeep Ram, you can shop with confidence. Each of our vehicles is inspected thoroughly to ensure they are in great condition. To get the most out of your used vehicle, we encourage you to regularly schedule your maintenance with us at our service center. Shop Affordable, Reliable Used Vehicles for Sale in Mareitta, GA Today! If you’re ready to get into an affordable, reliable used car, truck or SUV, contact Ed Voyles Chrysler Dodge Jeep Ram today! Browse our extensive used vehicle inventory then visit our dealership at 789 Cobb Pkwy S in Marietta, GA! We look forward to helping you find your new-to-you vehicle!